Governments around the world face are seeking to leverage digital technologies in order to improve operational and democratic governance: there are both promise and peril. 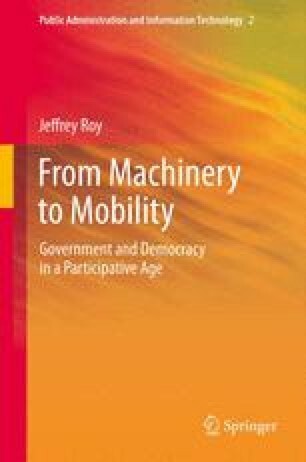 The still nascent era of mobility, characterized by the expansion of cloud-computing platforms, social media venues, and smaller and more portable and powerful “smart” devices, challenges many of the traditional structures and values that have come to shape politics, public sector operations, and the changing interface between the two. Macro tensions between centralization and democratization, furthermore, are evident beyond the realm of government throughout much of the world. Mobility? Think Mindset Not Handset.